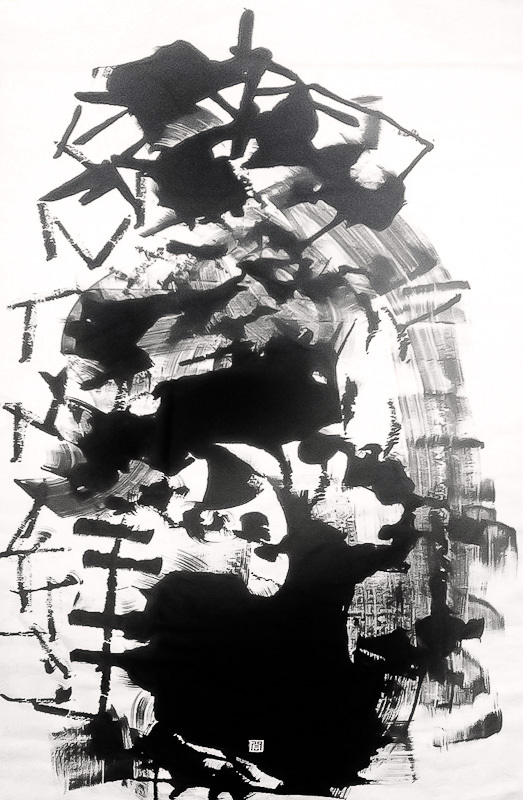 A calligraphy piece that features the Chinese character “了” which means “that’s it” and “the end result”. 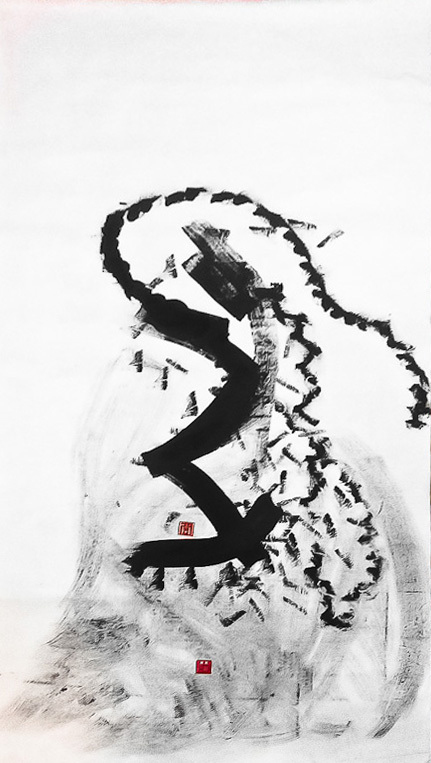 This character is illustrated in contemporary art form and translates the artist’s experience during her connection with the Tao, the celestial realm. The energy flow circulates within the word, representing the body of the artist in sitting posture, and beams out from the front, over the back of the head and out of the back (right side) to another dimension. Cosmic energy field behind is portrayed in various layers and dimensions during the connection period. Those who have had or are about to experience this in their life in the future will see through and understand even more of this piece of energetic contemporary calligraphy.